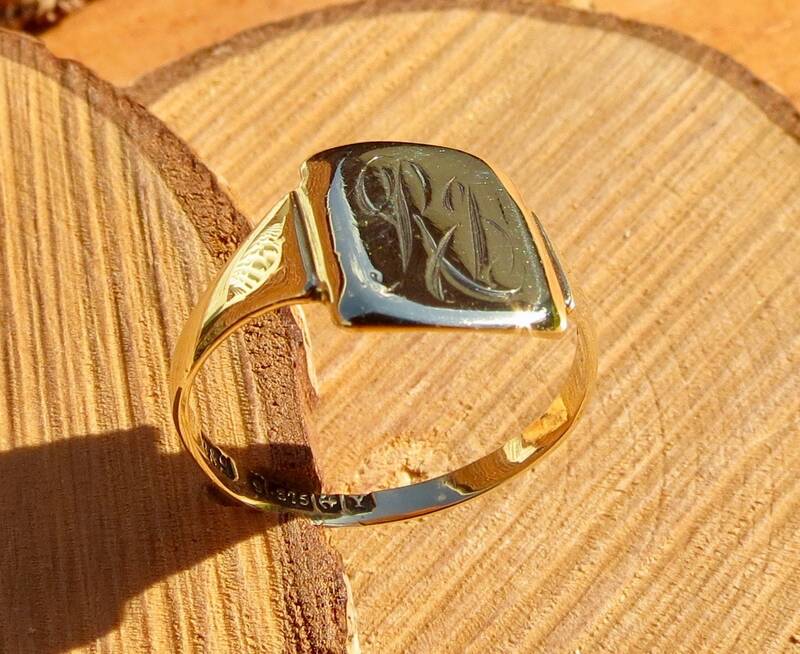 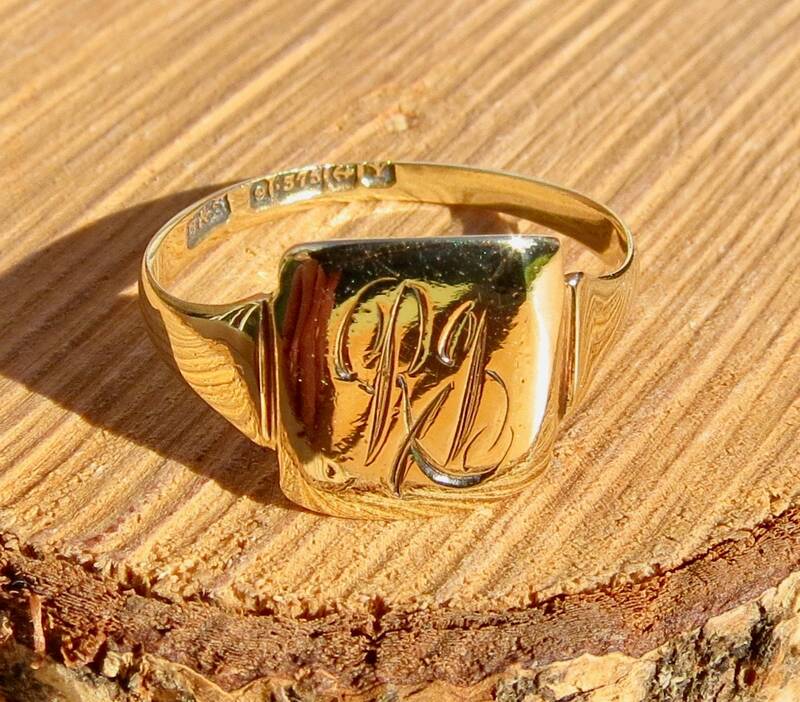 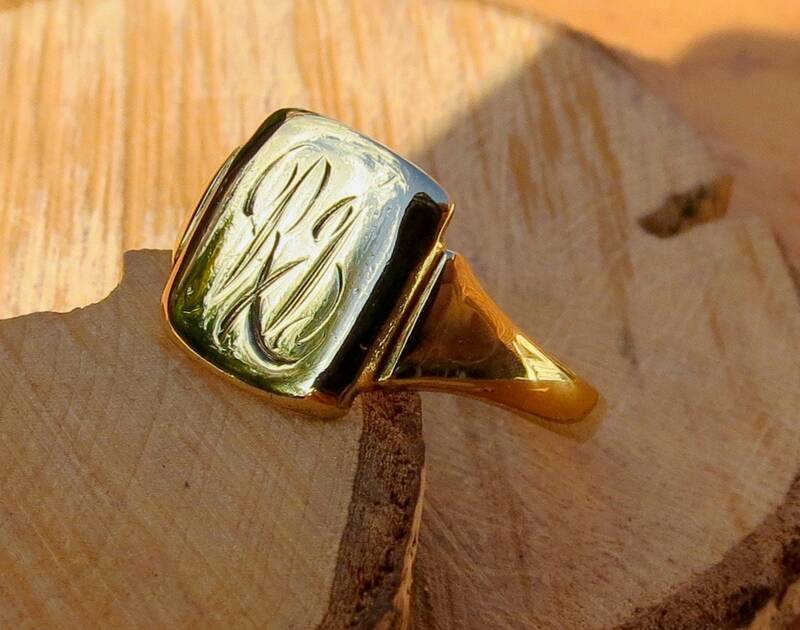 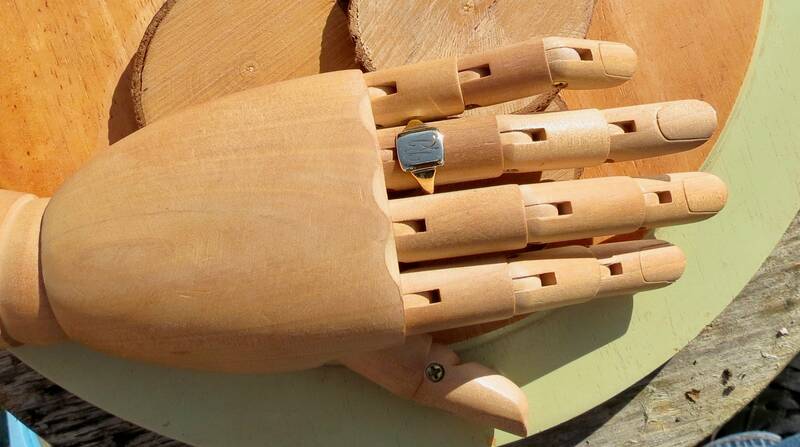 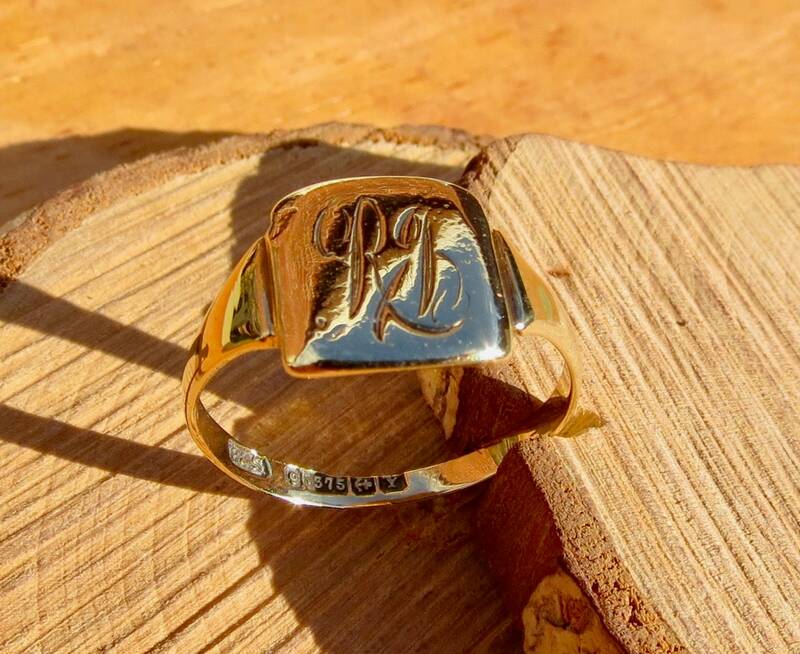 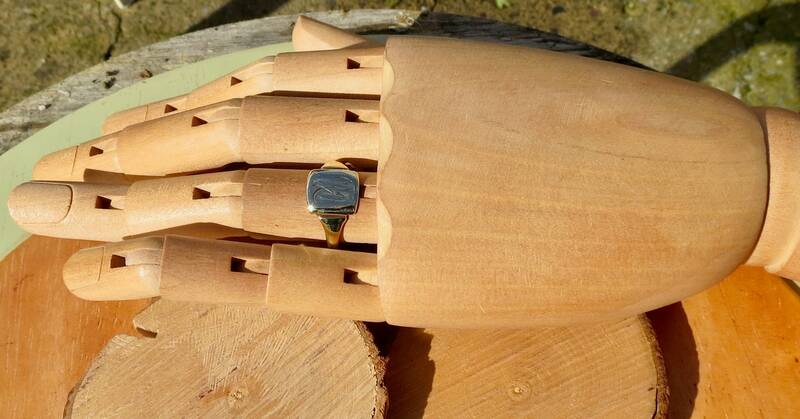 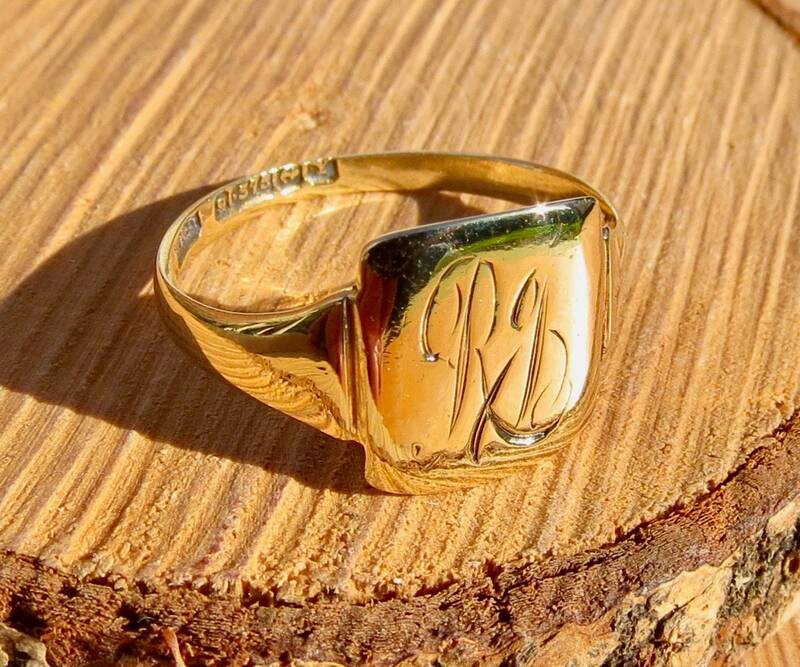 This very old antique 9K yellow gold rectangular faced signet ring has a monogram in script. 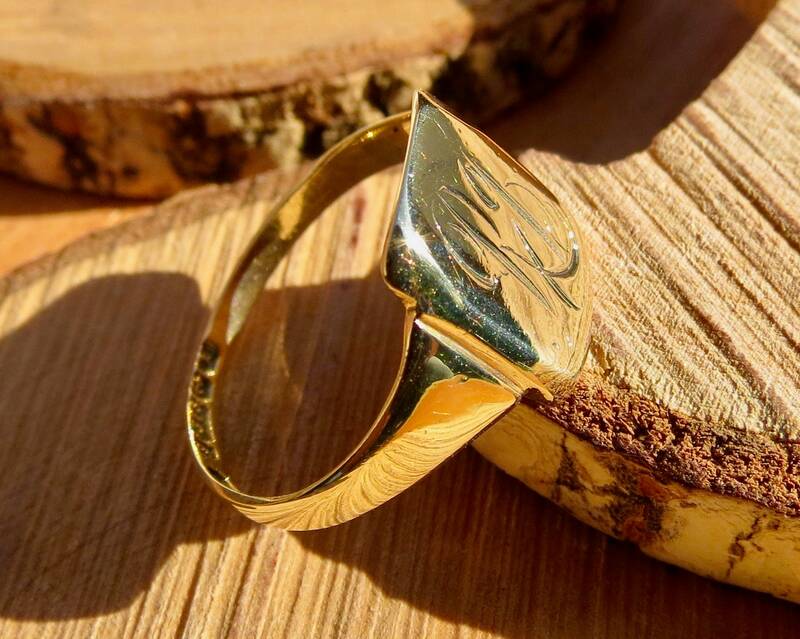 Wide shoulders leading to a plain shank. 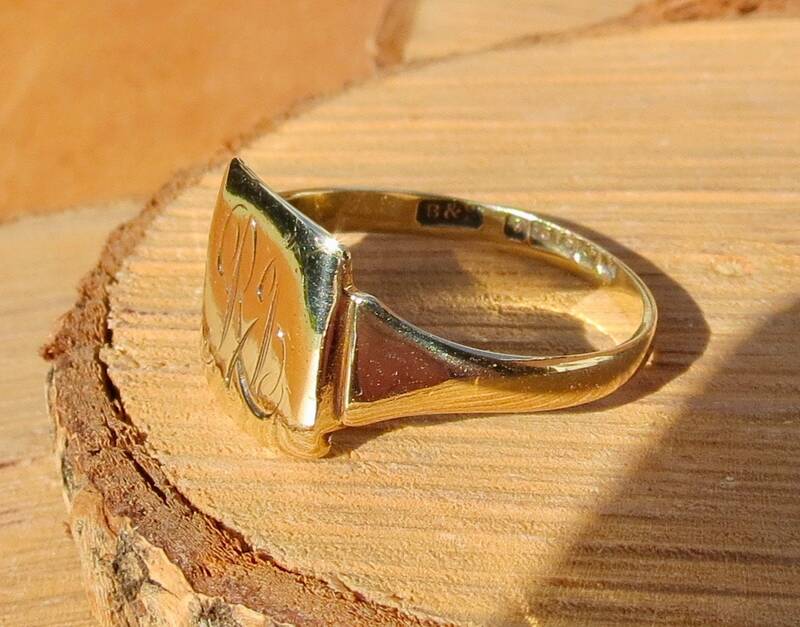 The face is 1/2 x 2/3 inch.